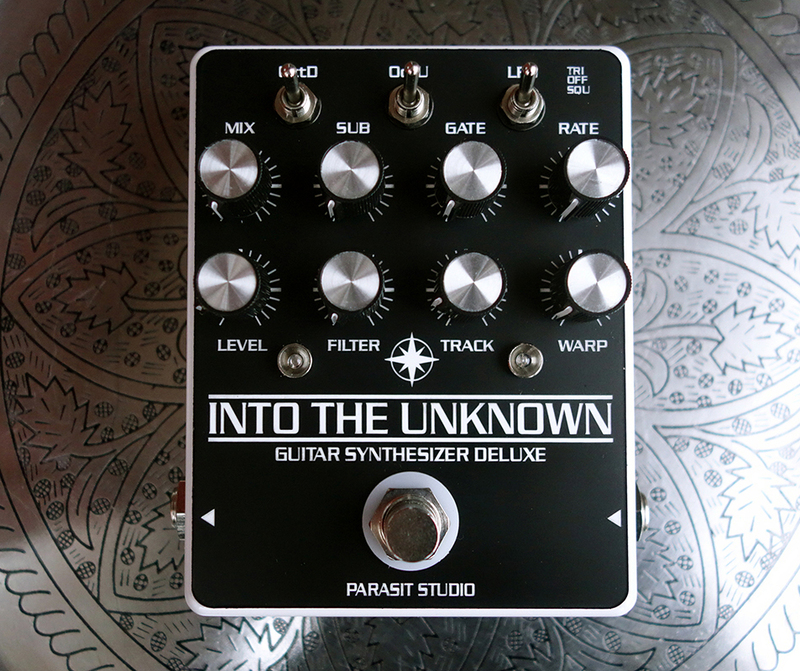 Into the Unknown is the big brother of the 0415 Guitar Synth. Both are based around a CD4046 PLL (phase locked loop) chip and a CD4015 shift register chip. 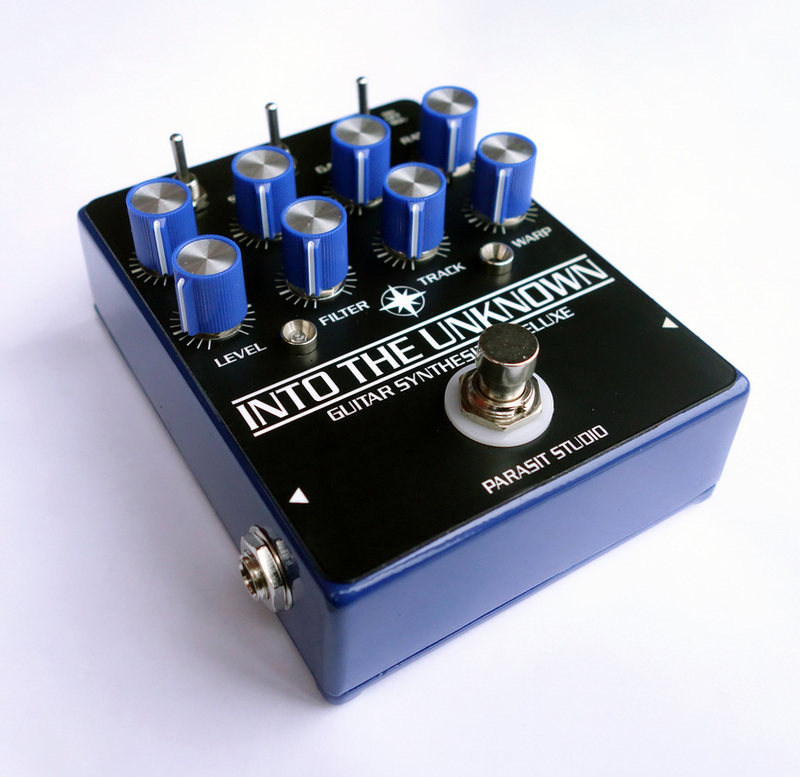 It's avaliable as a fully assembled pedal and a DIY project. 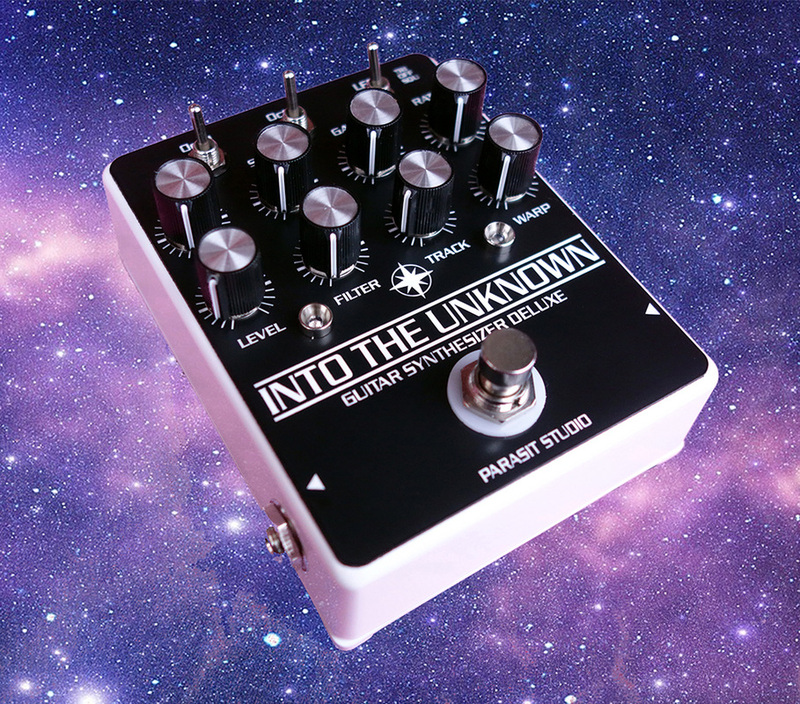 It can do brutal fuzz, octave down and octave up, theremin sounds, flanger'ish modulation, self oscillation, manual filter sweeps and more!